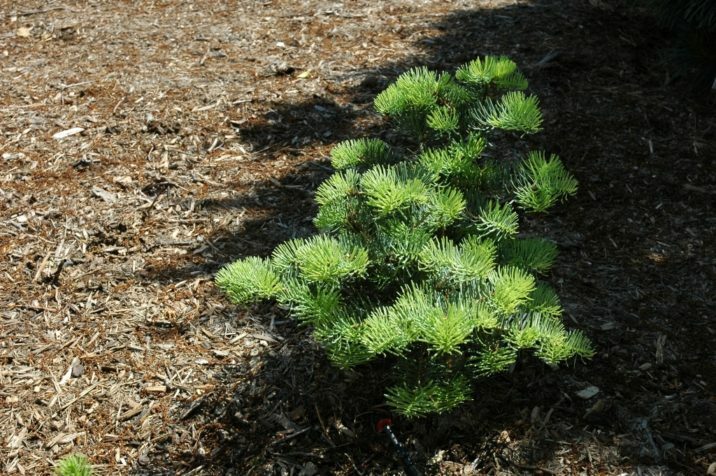 Abies concolor 'La Veta' is a particularly unique and outstanding selection of Concolor fir. Young plants will start out fairly prostrate with nice long, powder-Blue needles, displaying a layered effect in the branching. Later as the plant matures, it will first become a flattened globe and later grow taller, but nonetheless remaining rather globose with needles and branchlets retaining the layered effect of its youth. Typical rate of growth is 2 inches (5 cm) annually, forming a small squat globe, 24 inches tall by 36 inches wide (60 x 90 cm) after 10 years of growth. Jerry Morris of Ft. Collins, Colorado is credited with the origin of 'La Veta.' The original propagation material came from a large, vigorous, compact witch's broom with good color, 10 to 15 feet tall by 15 to 20 feet wide (4 x 6 m), that Jerry found on a very large tree north of La Veta Pass, Colorado, in the late 1990s. 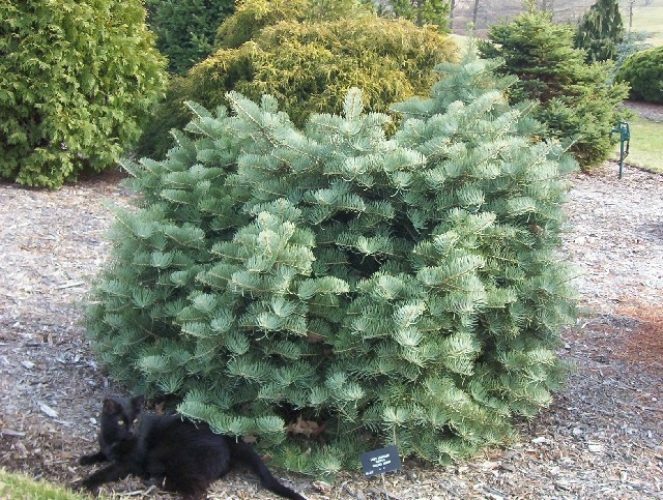 It was his very first White fir find as represented by its provisional name Abies concolor [#1]. This and many other well known cultivars in the nursery trade are part of what is known as the Jerry Morris Rocky Mountain Collection. Abies concolor 'La Veta' — a nice specimen at Bickelhaupt Arboretum, Clinton, Iowa, part of the Heartland Collection of Garden Conifers. 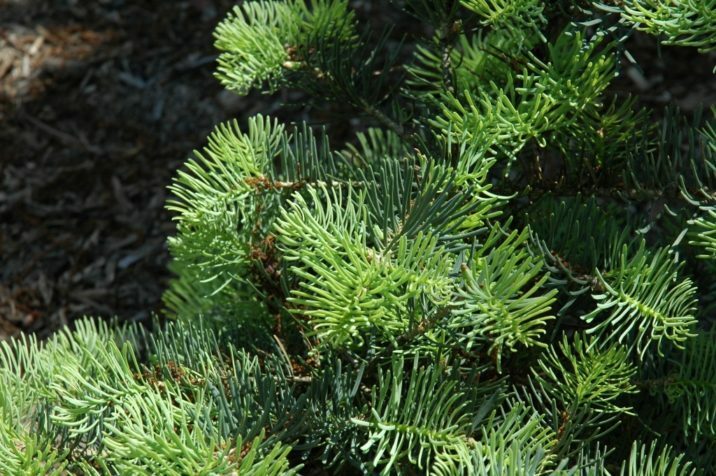 Abies concolor 'La Veta' — a young plant with fresh spring foliage.